OnePlus is gearing up to launch its next flagship phone in the coming months. The successor to the OnePlus 6T, which will be entirely separate from the pricier 5G-powered smartphone that will launch this summer, is tipped to have a radically different design from anything we've previously seen leave OnePlus' R&D laboratory. Popular YouTube channel Concept Creator has published a new video based on the latest whispers and leaks around the new handset. And it looks stunning. The slickly-produced video reveals an all-screen design. The front of the handset is dominated by a 6.41-inch edge-to-edge OLED display. Like its predecessor, the OnePlus 7 will have an optical in-display fingerprint scanner. However, unlike the OnePlus 6T, the new handset looks set to ditch the notch design. This allows the OLED display to run to the very edge of the smartphone without a single interruption – unlike the cut-out for the front-facing cameras used in alternative all-screen solutions seen on the likes of the Honor View 20 and Samsung Galaxy S10, and the sliding drawer used on the Xiaomi Mi Mix 3. As for the front-facing camera, the company looks set to rehouse the lens into a pop-up tray that rises from the top-left of the screen. According to the Concept Creator video, the selfie camera will be a 16-megapixel shooter. 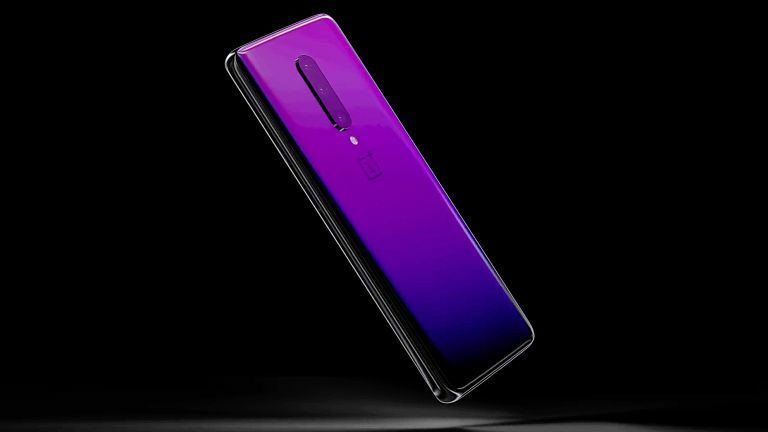 As you'd expect, OnePlus 7 will have flagship specifications: Qualcomm Snapdragon 855 system-on-a-chip, coupled with between 8GB to 12GB of RAM, as well as a 4,000mAh battery. For comparison, the OnePlus 6T has a 3,700mAh . Finally, the concept video also reveals a rear-mounted triple-camera. OnePlus already uses a dual-camera system to add artificial bokeh-style blur behind the subject of portrait images. It's unclear what the third camera will bring to the table, but some have suggested it will be the 10x optical zoom mechanism debuted by Oppo at the Mobile World Congress tradeshow last month.